Time Inc. is slated to begin talks with potential buyers. Time Inc. could begin discussions as soon as next week, according to a Bloomberg report. The publisher held a board meeting earlier this week to address the future of the company. 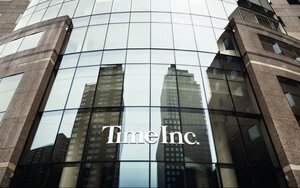 Time Inc. was approached by Meredith Corp. about a possible merger a few weeks ago. A source told Publishers Daily that Time feels no pressure to look for buyers. The talks will likely serve as a way to gauge how much the company could sell for — and if it could get a better deal than an unsolicited bid from Edgar Bronfman Jr.
Bronfman offered $18 a share last year, valuing the company at $1.78 billion. Time hired banks after receiving the bid, which the company reportedly rejected. Bank of America Corp. and Morgan Stanley are helping the company field offers, Bloomberg reports. Meredith originally proposed a merger with Time Inc. in 2013, when Time was preparing to separate from parent company Time Warner. However, nothing came of the proposal. Time’s magazine brands include Sports Illustrated, Time, People and Fortune.